Having grown up in nearby Loudon, Kayla has enjoyed living and working in this area and loves the welcoming and supportive community of the area. 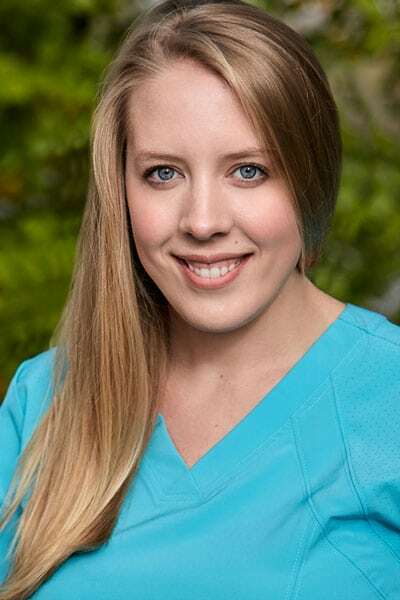 She has been working with Dr. Rosato for 2 years and enjoys working with her patients to improve their oral health while making their smiles shine! Kayla earned a Bachelor’s degree in Natural Science from Saint Anselm College. She decided to continue her education and went on to receive an Associate’s degree in Dental Hygiene from New Hampshire Technical Institute. Engaged to be married on June 30, 2018, Kayla and her fiancé live in Allenstown with their rescue dog, Cali, and their cat, Finnegan. Kayla is also on the Board of the Concord Farmers’ Market, a unique market that offers the opportunity to support local farmers and artisans by purchasing locally grown and created products.